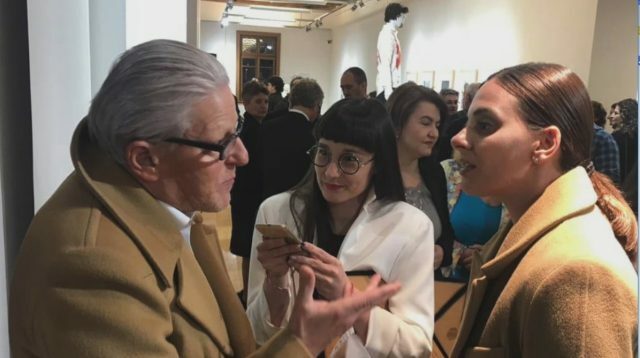 On March 22, 2019 in the halls of the National Gallery was opened the exhibition ‘There is No Escape from Art’ of the Belgian visual artist Jan Fabre, which can be seen at Sofia Arsenal – Museum of Contemporary Art until 28 April 2019. Jan Fabre gave a special interview to the National Gallery’s Educational Department. The interview with the Belgian artist Jan Fabre can be heard here. • What do you find in Art which is rare or does not exist in life? I think there’s only one Art – that is Human Art. As a human you have to be humble to worth beauty. • Is there a symbol that is constantly chasing you through the years and appears in you work again and again? I think the idea of Metamorphosis, the idea of Transformation, the idea of the Human body. The idea of transformation from animal to human – from human to animal, because animals are the best doctors and philosophers we can learn from. • Can you share a story of a concrete work of yours or a work of other artist, that you couldn’t miss a chance to talk about? Still today my inspirational artists are the Flеmish Masters like for example Hieronymus Bosch. There’s a small painting ‘The Sheep of Fools’, it is a beautiful painting – full of imagination, full of attacking the power and it’s more avant-garde and contemporary than lot of contemporary art. • If a kid’s audience is sitting in front of you what would you tell them about your Art? I don’t have to tell them anything, because most of the time they are much more imaginative than the professional art lovers.